Bacteria have been morphing into resistant strains of superbugs that make it very difficult for pharmaceutical companies to keep up with them, but research coming out of Ethiopia’s College of Medicine at the University of Gondar proves we don’t need Big Pharma to treat diseases that it ironically helped to create. A combination of ginger powder extract and honey are so effective that they inhibit the growth of superbugs like MRSA, E Coli, and even the bacteria that causes Pneumonia. MRSA (methicillin-resistant Staphylococcus aureus), Escherichia coli, and Klebsiella pneumoniae are some of the most damaging superbugs around. 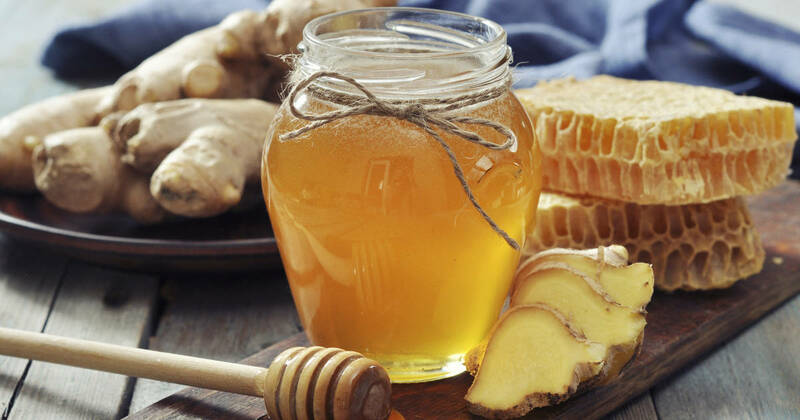 Yet when researchers compared Ethiopian honey combined with ginger powder to three different antibiotics and their ability to kill superbugs, the ginger and honey combination won over the pharmaceutical drugs not by a little – but considerably. (They also tested a ginger-water solution for good measure). (Aside from this research, here are 8 natural antibiotics you should consider using). Each ‘broth’ that the superbugs were exposed to was cultured for 20-24 hours. The three antibiotics used were some of the most ‘powerful’ the industry has ever created: methicillin, amoxicillin, and penicillin. 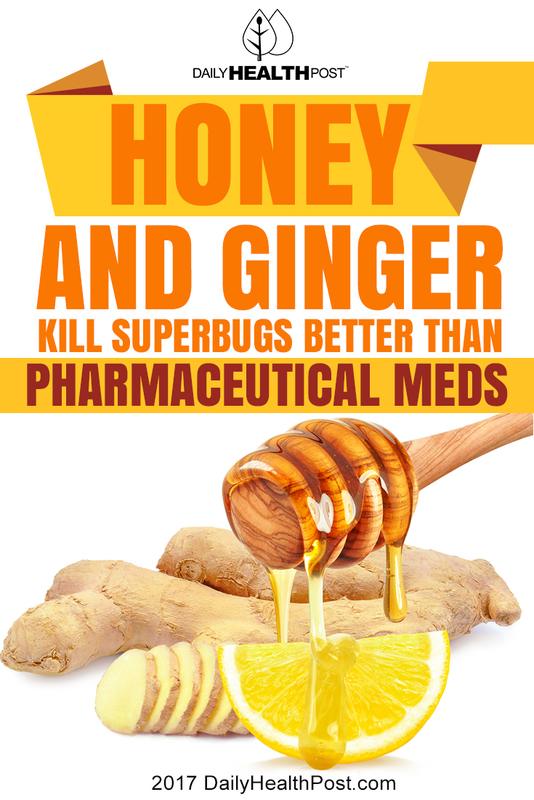 With all three superbugs, the ginger and honey combination was more effective at inhibiting growth than any of the antibiotics. The only antibiotic that even came close was amoxicillin. The mean inhibition levels of this dynamic duo averaged 25.62 and ranged from 19 to 30 – beating out all the pharmaceutical antibiotics by a landslide. The ginger extract wasn’t made with any fancy process either. Researchers simply dried sliced root pieces at 37 degrees for 24 hours and then ground them and blended them with methanol and ethanol to make a 50% solution. This was then blended with the honey to make an exact 50-50 combination. The water extract of the ginger had no inhibition of the bacteria. This is what other research has indicated – that alcohol apparently extracts the antibiotic constituents from the ginger. We can continue to take lethal, health damaging antibiotics that kill our natural immunity, or we can take ginger and honey prepared as outlined, and enjoy amazing health.